Leon Neal/Getty ImagesSaudi Crown Prince Mohammed bin Salman arrives for a meeting at number 10 Downing Street on March 7, 2018 in London, England. Members of an advisory board for a $US500 billion Saudi megacity project are distancing themselves from the organisation after the reported murder of a dissident Saudi journalist. Google-linked executive Dan Doctoroff and ex-US secretary of energy Ernest Moriz have now dropped out of the project. Apple’s Jony Ive was initially on the list, but Apple says his inclusion was a mistake and he has nothing to do with the project. The other 16 members of the board did not respond to Business Insider’s multiple requests for comment. A senior executive who works for Google’s parent company and a former US secretary of energy have dropped out of a Saudi Arabia tech and business advisory board following international outcry over the disappearance and alleged murder of a dissident Saudi journalist. 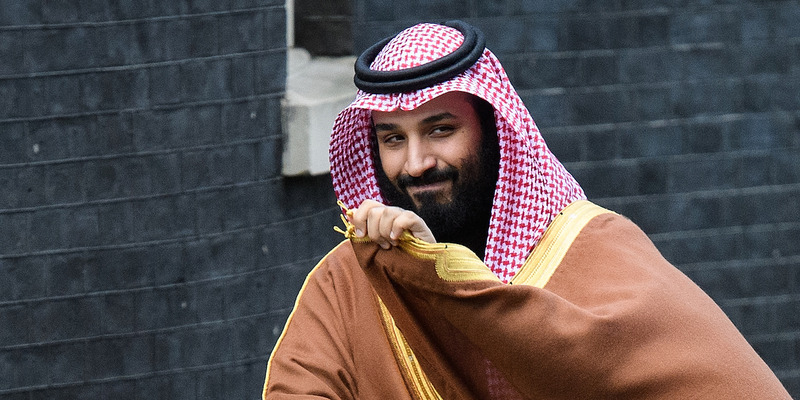 On Tuesday, the Saudi news outlet Argaam reported that Neom – a $US500 billion megacity project being built by the country – had formed a new advisory board. Members mentioned in the announcement included famed tech industry investor Marc Andreessen; Dan Doctoroff, CEO of Google parent company Alphabet’s urban planning unit Footpath Labs; Travis Kalanick, ex-CEO of Uber; former European Commission vice president Neelie Kroes; ex-Dow Chemical Company CEO Andrew Liveris, and Silicon Valley investor Sam Altman. But following inquiries from journalists, members have started distancing themselves from the project. Then on Wednesday, Ernest Moriz, the former US secretary of energy, said he was “suspending” his involvement until more is known about Khashoggi’s disappearance. “Six months ago, I was invited to join an international advisory board for development of NEOM, a smart city of the future being built from the ground up in northwestern Saudi Arabia. In particular, I have been asked to offer guidance on achieving zero net greenhouse gas emissions. Success with this vision will have global implications for a low carbon future,” he said in a statement provided to Business Insider by a spokesperson. Even after those departures, 16 members remain on the board, though its future looks uncertain. The other members either did not respond to Business Insider’s requests for comment about their involvement, or were not reachable for comment. The new tech advisory board’s announcement came as much of the news on Saudi Arabia was focused on the fate of Jamal Khashoggi, a critic of the Saudi government who disappeared after visiting the Saudi consulate in Istanbul, Turkey last week. The New York Times and several other news organisations report that Khashoggi was murdered by a team of 15 Saudi agents inside the consulate. A report in the Guardian on Tuesday said that Turkish authorities are focused on a black van seen leaving the consulate that they believe was carrying Khashoggi’s body.